The X-Ride is a fantastic all round board that is perfect for those rail to rail carves as well as offering real boost and a stable platform for your first foray into the world of freestyle. 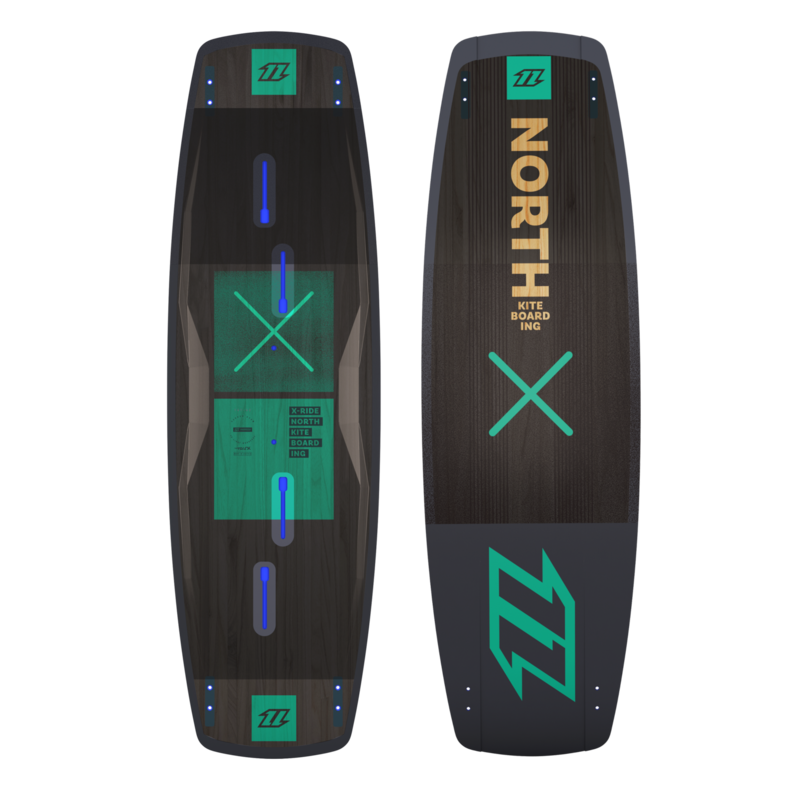 The board features narrow tips for unrivalled carving abilities coupled with a soft flex to ensure a comfortable ride no matter what the conditions are. A Step Mono Concave bottom ensures you have plenty of grip and control while the internal Carbon Beam reduces weight and keeps the board responsive at all times. Even in small waves the X-Ride is the first choice of the twintip range. Easy and forgiving, the X-Ride is the kiteboard that makes you look good!